Whether it be his family, growing up in the 90's, his hatred of cats, Grindr or self-serve supermarkets, Nath's razor sharp and hilarious stand up is winning crowds and critics over alike. a number of 5 star reviews from major newspapers. Recently, News Limited has begun publishing Nath’s articles. His unique, funny, and relatable content is proving a hit with one of the biggest online audiences in the country. Nath makes regular appearances on TV. His credits include The Project, ABC’s Dirty Laundry, ABC Breaky Show and ABC Comedy Up Late. 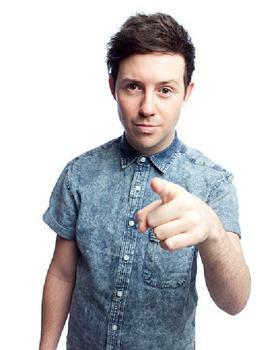 In 2013, Nath was heard across the country hosting Nova FM's UpLate show and hosted the Saturday Morning Breakfast Show Melbourne during 2014. One of Nath’s greatest accomplishments to date was performing his hit show Grindr: A Love Story? in London at the prestigious Soho Theatre during November 2015. Festival, the feather in his hat was a 5 star Herald Sun review during a sold out MICF season.